Ramky estates & farms ltd..: On this auspicious day, May Goddess Varalakshmi bless you and your family with Health, Wealth, and Success in your life. #RamkyGroup Wishing all a Happy "Varalakshmi Pooja". On this auspicious day, May Goddess Varalakshmi bless you and your family with Health, Wealth, and Success in your life. 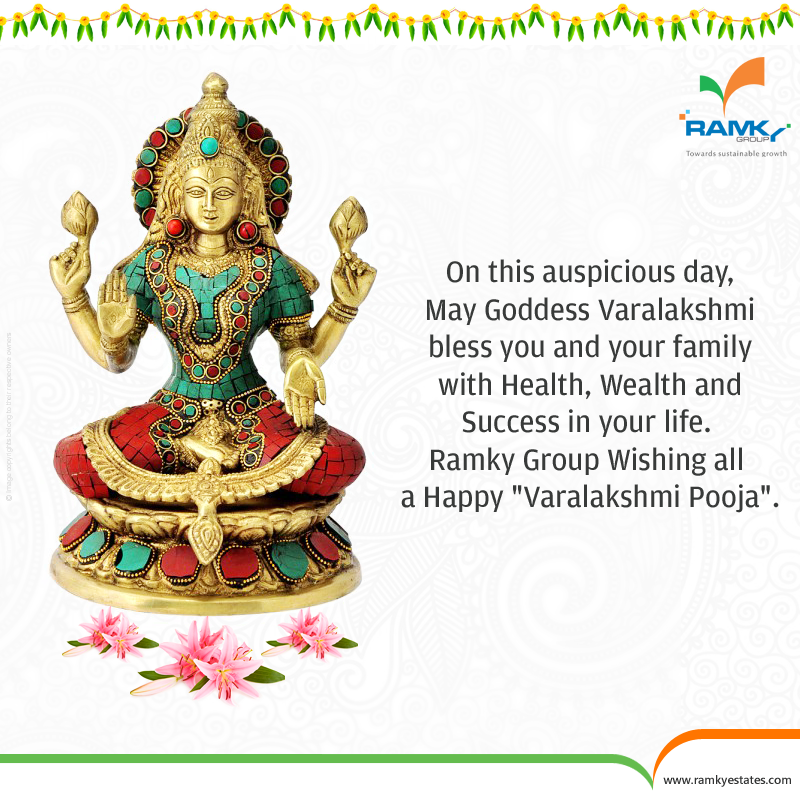 #RamkyGroup Wishing all a Happy "Varalakshmi Pooja".